In my hunt for more snack foods, I have always been intrigued by all the ball recipes I see on the web. I have posted a few of my own recipes over the last year. 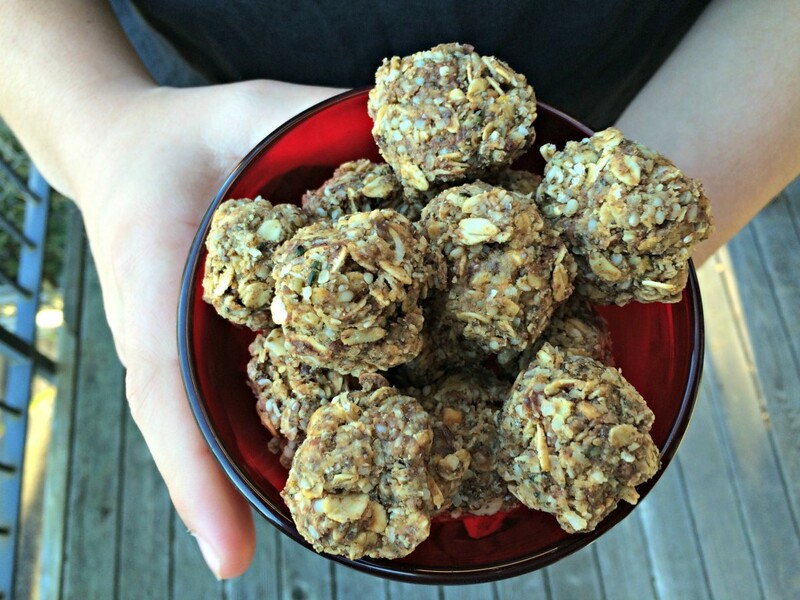 ( Check these balls out and these are super yummy too.) I like to try to make all my balls bursting with flavor while still including lots of amazing, energy producing ingredients. My latest ball incantation meets all these requirements. 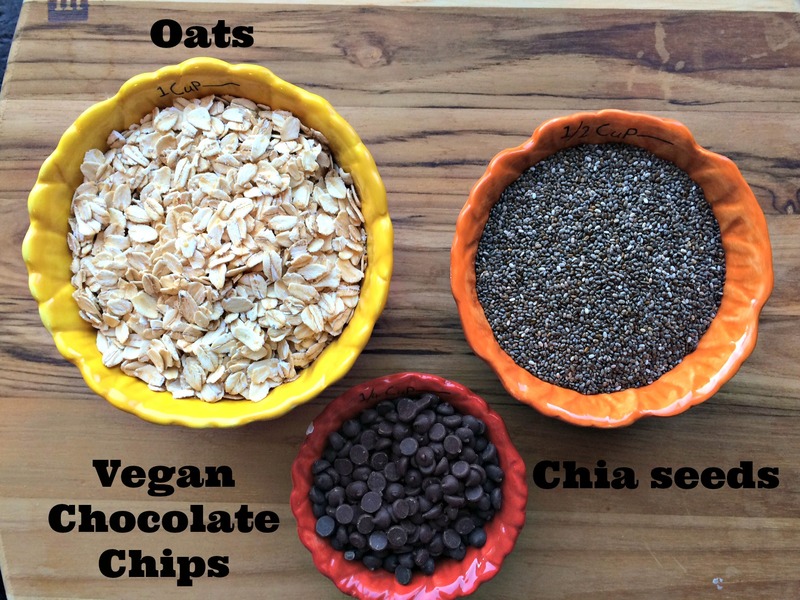 I love that these balls include energy producing, fiber filled Bob’s Red Mill Oats , Omega-3 rich Raw Chia Seeds and Hemp Hearts and Enjoy Life Semi-Sweet Chocolate Mini Chips- so much goodness in such a small little bite! 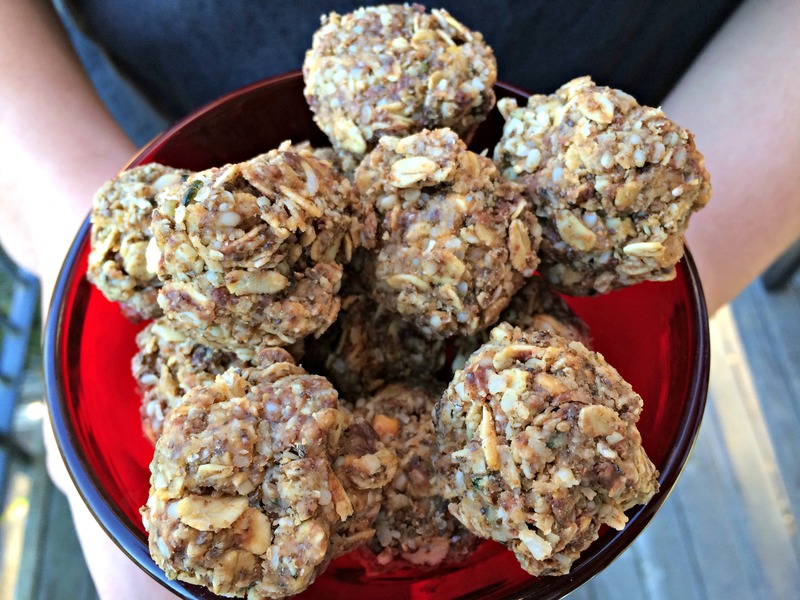 These are such a great, quick snack to have on hand for a burst of energy any time. They can even be used as a quick grab and go breakfast. Here are all the healthy ingredients mixed up and ready to head into the fridge to help them stick together. Putting them in the fridge for about 30 minutes is key to helping them hold together. I definitely advised making sure you don’t skip this step!! I found it was easiest to squeeze the dough into balls instead of trying to roll them. They don’t look too pretty but they sure taste good. Put peanut butter and maple syrup in a small pot on the stove. Slowly heat, stirring to combine . 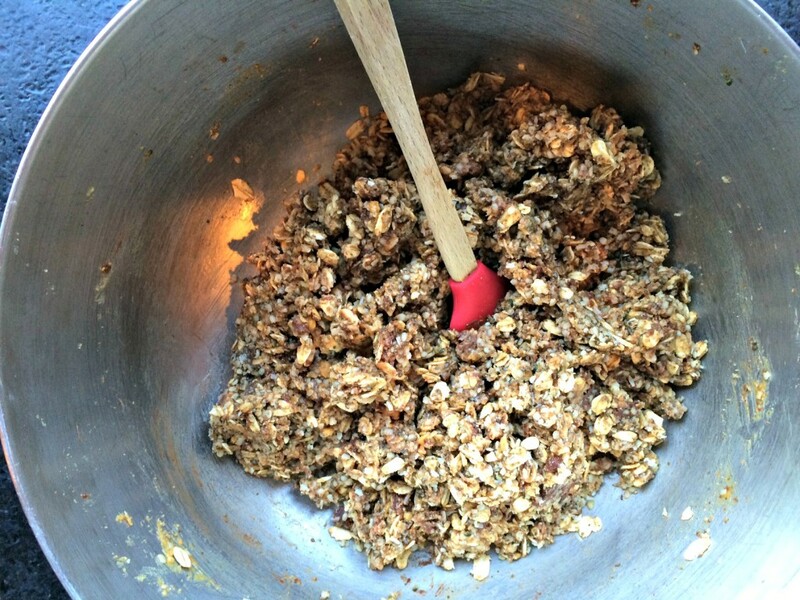 While peanut butter heating on stove, add oats,coconut, seeds, chocolate chips and vanilla to a large bowl. When peanut butter and syrup combined, add to dry mixture. Add almond milk as need to make sure dough is wet enough to stick together. Once well combined, chill in the fridge for 30 minutes. After 30 minutes, remove from fridge and roll into balls. Store leftovers in airtight container in the fridge. You come up with some pretty good snack ideas. There’s nothing much better than the chocolate and nut butter combo, like you have here.